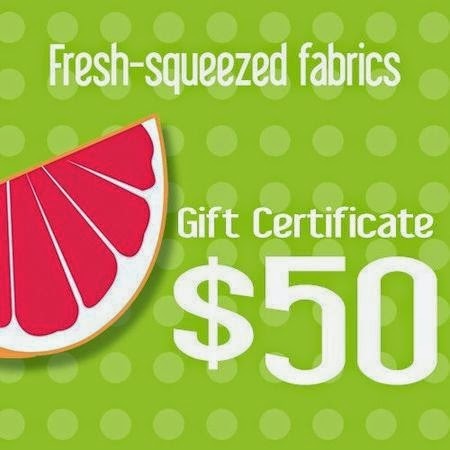 My favorite giveaway prize, a $50 to certificate to my favorite etsy shop, Fresh-Squeezed Fabrics. 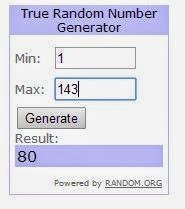 I know Vicki is a long-time follower, so I'm pleased you won. Congratulations! I have some great "stash" photos to share tomorrow -- hope you'll come back to see them! Congratulations to Vicki - she will have fun I'm sure.